I’m a beer trader but I’m still a little bit on the fence on the right or wrong of it all. On the wrong side, rare beer has widely become a trading chip and it isn’t uncommon in traders to buy beer solely for its trade value. Yes, I feel a little guilt as my collecting and trading actions may very well keep other locals from actually drinking the beer. Right or wrong, I brush off the guilt by accepting that the competition for rare beer among enthusiasts, collectors or traders is a win some, lose some proposition. For me, the guilt washes away as I visualize the memory of someone else taking that last four-pack of Epitome right in front of me just moments after missing out on the last Bourbon County Vanilla Rye on Black Friday. I just chalk it up to scoring the next time – because there certainly will be a next time. On the positive side, there are so many craft beers that have limited distribution that the trading takes on the same feel as someone that is a collector of rare items. Frankly, I look at this blog as my collection. I can’t save a bottle of beer forever but I can certainly catalog it. There is a certain thrill in acquiring the difficult to find. Along with acquiring the trophies for the collection comes the opportunity to try some other limited quantity or lesser known beer that come in the form of beer trading extras. These are “throw-ins” to trades and are typically beer that wouldn’t be found in your trade partner’s state. They aren’t meant to even out deals, it’s just the generosity of the trade partners and it adds to the Christmas morning feel of receiving a package. Came as a bonus in a trade in which I acquired four fresh Lawson’s Sip of Sunshine. I like that a portion of the proceeds collected in the sale of this beer go to help Purple Heart Reunited. This organization works to return medals of valor to servicemen. Delivers on the advertised happiness. IBU is listed as 40 (light) and that seems about right. Bitterness might be a little clunky but it delivers a nice mellow caramel. Has its flaws but a really an easy drinking beer. I’ll put Valor at 85 points. Acquired as another beer trading extras in a deal that saw me acquire Bo & Luke by Against the Grain. This may very well be the worst beer I’ve ever had. I think it’s infected as I’m sure the bourbon barrel didn’t lend the cider and musty basement flavors. Drain pour – 59 points. Clove of the yeast encroaches on the opening flavors. Seems a bit off a little butterscotch. Boozy and I don’t taste the advertised maple syrup or pecans. Tastes like a mediocre home brew. 72 points. This one came as a bonus in a trade that saw a couple of other Kuhnhenn legends (4D and Solstice) come back my way. The unfortunate thing is that as a bonus beer, I can’t complain that this bottle is just about six months old. I’m sure the hop dropped out of it as this bottle comes across sweet and boozy hot with only some residual hop resin. On the plus side, I like a sweet boozy IPA. I’ll peg Trippa at a pleasant 90 points. I cringe when I think of cream ale. It brings back too many memories of buying cases of Genesee Cream Ale for $7 a case back when we were in high school. Yes, I’m that old. Spotted Cow is a bit yeasty some lemon, creamy textured, clunky in bitterness. It’s mediocre at best 82 points but still better than Genesee Cream Ale. 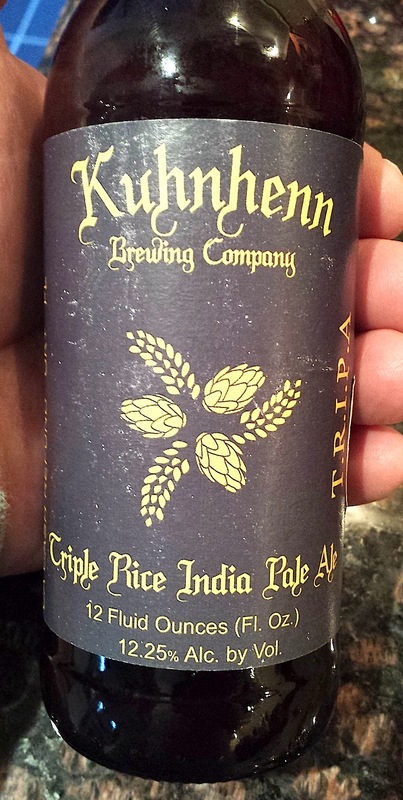 Since I’m writing about the give and take of bonus beer – here’s a beer that I included as a bonus in my last trade. High Point Brewing has been making world class German-style beer for about twenty years and they release beer under the brand – Ramstein. 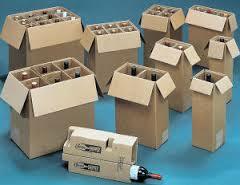 They are located about two miles from house and these bottles don’t wander very far from the brewery. It is as local as a local bonus gets. 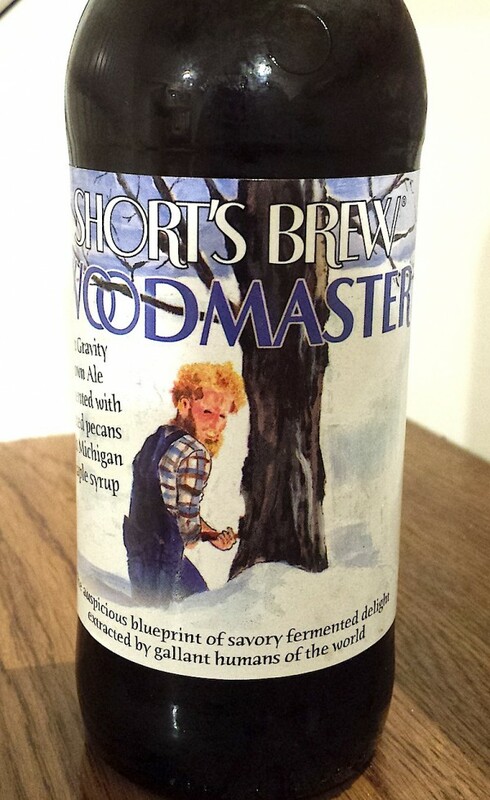 This bottle of Winter Wheat was given a perfect score by the Alstrom Brothers, founders of the Beer Advocate website. Mellow roasted flavors over some mild cocoa. Some black cherry and blackberry notes as well. Very smooth and drinkable and the lack of any heat makes the 9.5% alcohol a dangerous factor. I have to admit I was surprised as the style isn’t in my wheelhouse but a very solid 89 from yours truly. About thirty-five years ago, I was a dishwasher/bus boy at Tell’s Coffee Shop in West Milford. I’ve probably heard the coffee ordering exchange thousands times and know that a regular coffee is a coffee with milk and two sugars. I didn’t realize it was a Jersey thing until yesterday. For me, the dots were connected as a result of a tweet from another Jersey thing – Carton Brewing. 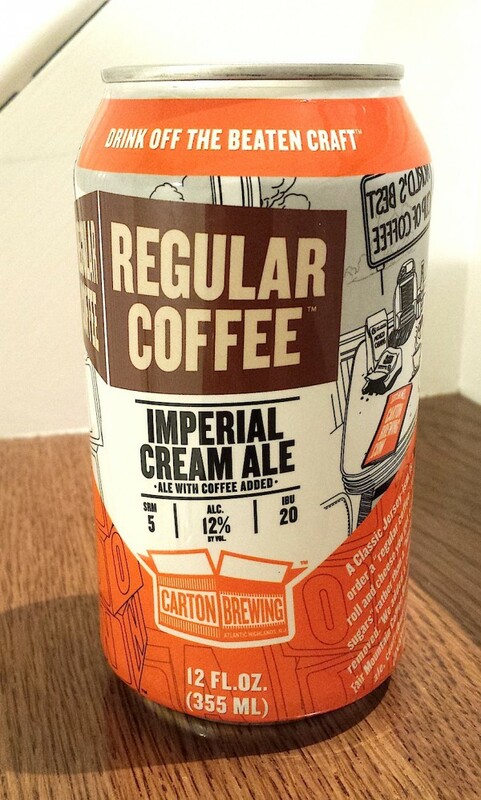 They tweeted about the release of this beer Regular Coffee and offered the same definition of a regular coffee. Like many of Carton’s releases, the release of Regular Coffee was bound to set off a beer geek frenzy. As usual, my mind raced…could I take the day off? But what would I say to my wife after she dropped the kids off at her mom’s house because I told her I couldn’t take off for MLK day? Thankfully, I have friends that share the same brainwaves. My friend Mike’s business is in its offseason – so, he took the hour’s drive from Wayne to make the release. Out of the blue, he texted me …”hey, I’m at Carton, do you want me to pick you up a growler?” Uh- yeah! I’ll say this beer is totally unique. 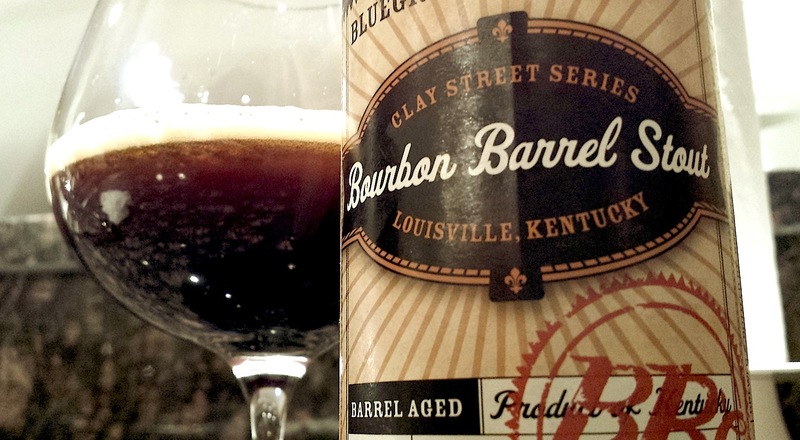 It has wonderful viscosity and the massive 12% ABV is beautifully concealed. I was expecting Regular Coffee to come across with a bit more coffee umph! – but the coffee flavor is quite watery and the sugary sweetness is overwhelming. I guess it does represent a typical weak coffee with way too much sugar. Regular Coffee isn’t my up of tea – uh, coffee. 82 points. I’ll play hooky at the next Carton release.